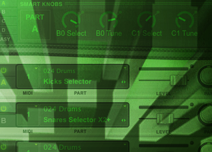 Xpand!2 is a multitimbral workstation that will infinitely expand your sonic palette. The customization is deep, the interface is simple, and the sounds are world-class. 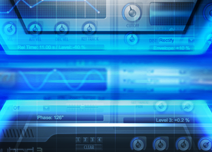 AU, VST, and AAX. 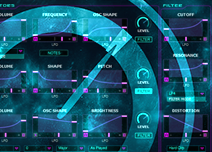 An inspiring collection of twenty virtual instruments and progressive sound-design tools. The next generation in synthesis. This hard-hitting pack takes your production to new levels of power, drama and impact. Add suspense, hype, drama, and movement to your music. 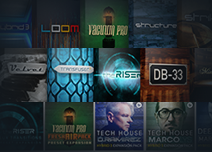 Discover 50 powerful all new patches from this award-winning producer and turbocharge your project today. 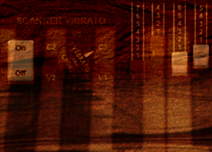 A powerful virtual piano instrument with seven different acoustic piano sounds to suit a broad range of musical styles. 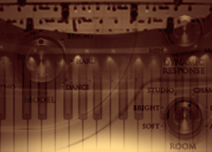 Recreate the sounds and controllability of classic tonewheel organs with 122 preset sounds and extra-realistic convolution rotary cabinet. A multitimbral workstation offering four active sound slots, or parts, per patch with individual arpeggiation control.